The leaves have fallen, the wind blows, but the hat stays. The hunt goes on. 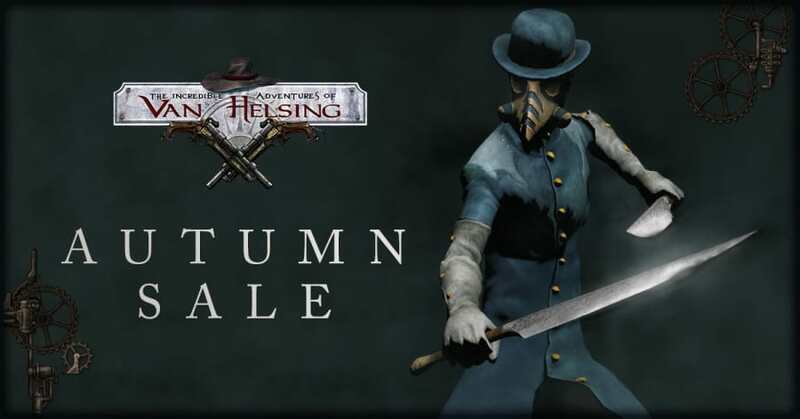 While it's cold out there, Borgovia's weird monsters give you a warm welcome: grab the games from The Incredible Adventures of Van Helsing franchise, including Deathtrap with a big discount in the Steam Autumn Sale. 66%, to be precise, on all titles! Coincidentally, it's on sale on our store as well.